How Far Does Your Money Go in Fort Worth? 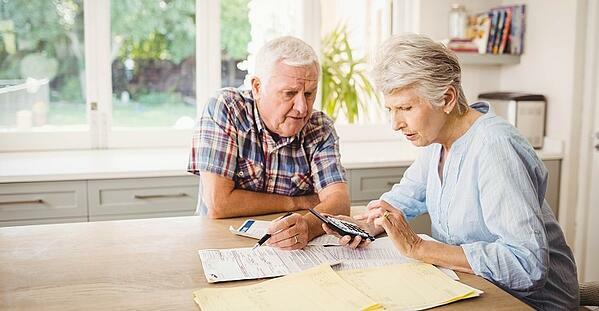 Finances become extremely important as a senior, especially when caring for yourself becomes a concern. We're here with all the information you need to help understand the costs involved with senior care in Fort Worth, Texas, and how far your money can take you. The Fort Worth area has a population of more than 850,000 people with around 8-10% of that population belonging to the senior age-group. The median age of Fort Worth citizens is around 32 years, with a decreasing percentage of seniors. The median income of the area stays steady around $56,000, while the average income of a senior is drastically less at around $38,000. So what's the best option when a senior needs care? The average cost of living in a nursing home in Fort Worth for seniors can vary, depending on the type, location, and more. Private nursing homes can cost around $170 per day, while semi-private homes are a little lower at about $125 per day. And your insurance plan may or may not cover a percentage of the cost. Though assisted living communities do offer a variety of benefits to seniors, they can be costly. With a month at your average place costing almost $2,800 and even costlier locations costing up to $4,500, it may not be an option for some. As with nursing homes, insurance may or may not cover a portion of the cost. Staying in the home is a great option for seniors who are seeking a little more financial freedom, but still need to be cared for. These types of caregivers typically cost around $18 per hour, making it one of the most affordable options for seniors. And many seniors find staying in their own home to be a happier (and more independent) experience.